In 2013, UCLA Institute of Environment and Sustainability (IoES) partnered with LA Waterkeeper (LAW) on an EPA Urban Waters Small Grant to develop a teaching curriculum for high school students at Jefferson High School in south Los Angeles in order to conduct a neighborhood-scale assessment of industrial sources of pollutants in Compton Creek. Students gained research skills as well as fieldwork-based experience to understand and track urban drainage systems. Also funded by an EPA Urban Waters Small Grant in 2016, the Constitutional Rights Foundation (CRF) joined with UCLA IoES and LAW to form a unique partnership between scientists, public policy professionals, and educators. Together, they created the Urban Waters Civic Action Project (UWCAP) to educate and empower high school students in highly industrialized urban areas in LA County. 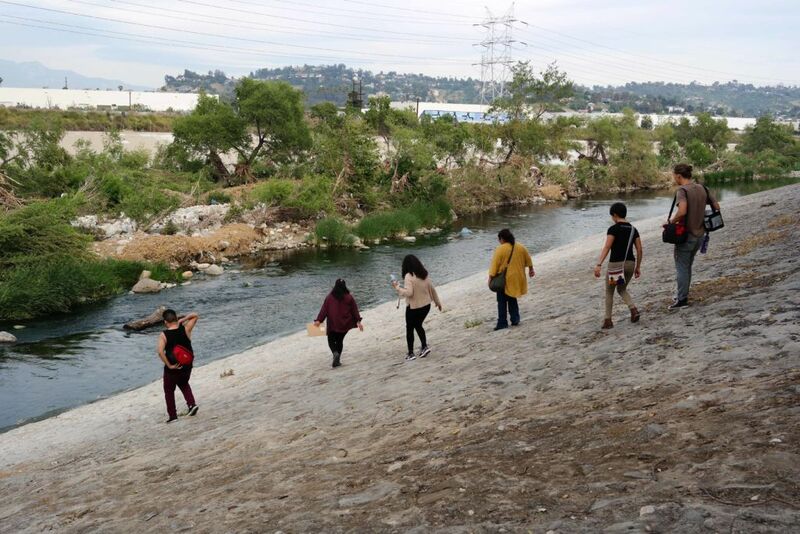 The UWCAP partners created a new curriculum that expands on watershed science, includes information about water quality in the LA River, adds analysis of public policy and creates student-lead civic action projects. UWCAP partners supported teachers from four schools in the LA area with trainings and after-school field trips for data collection. A main goal of the project included giving teachers the tools they need to continue offering the program independently into the future. The programs at UCLA IoES are “moving science to action,” with undergraduate to doctorate academic research and projects that link to communities for real-world problem solving.